Lets see how they work as exfoliators for our skin.. Exfoliation is a very necessary but highly skipped part of our skin care and make up routine. Exfoliators are basically meant to remove dead skin cells from our skin to help making it look fairer, flawless, bright, clear. Exfoliation also helps in easy shaving and improving blood circulation. Exfoliators are of different types depending where and what purpose they are used for but they are very costly at the same time. Good quality doesn’t have anything to do with high cost. So, if you don’t want to spend high amounts of money on exfolliatiors, don’t skip them. 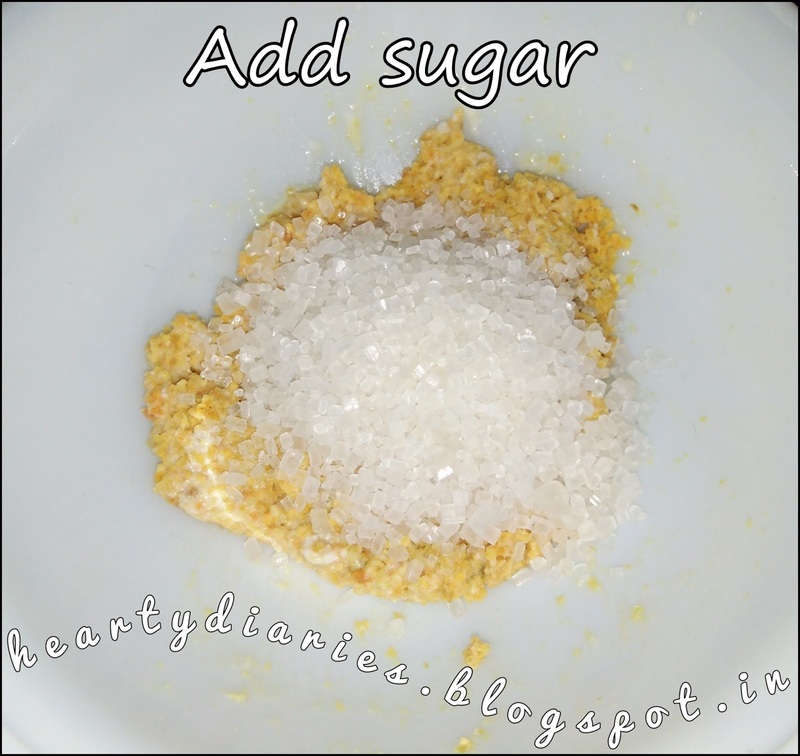 Make your own DIY exfoliating scrub instead. Today I will be making an exfoliator for removing dead skin and blackheads from the face to make it look glowly and clear. 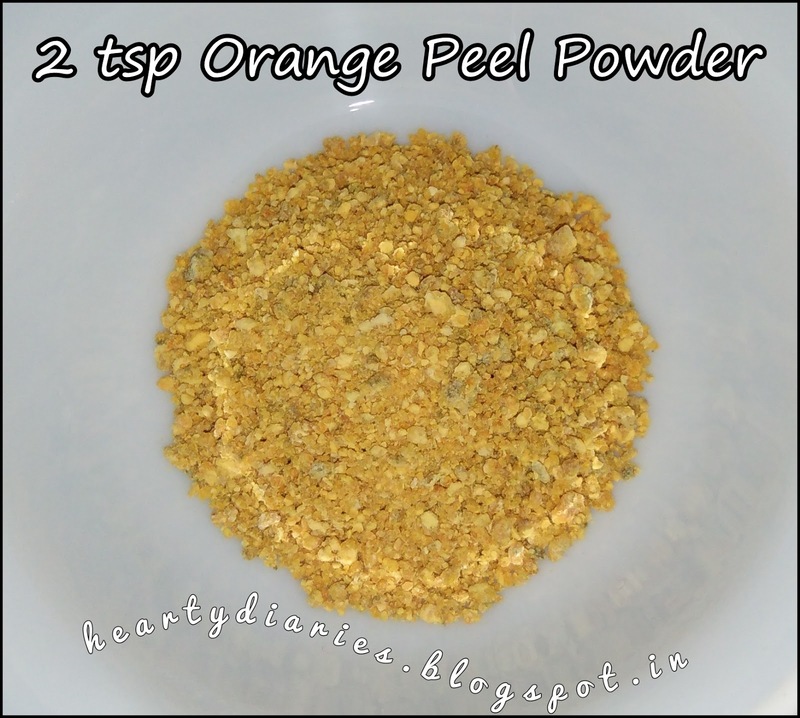 So, without taking more time, lets see how to make this DIY easy homemade orange peel facial scrub..
How to make facial exfoliating scrub using orange peel? 1. 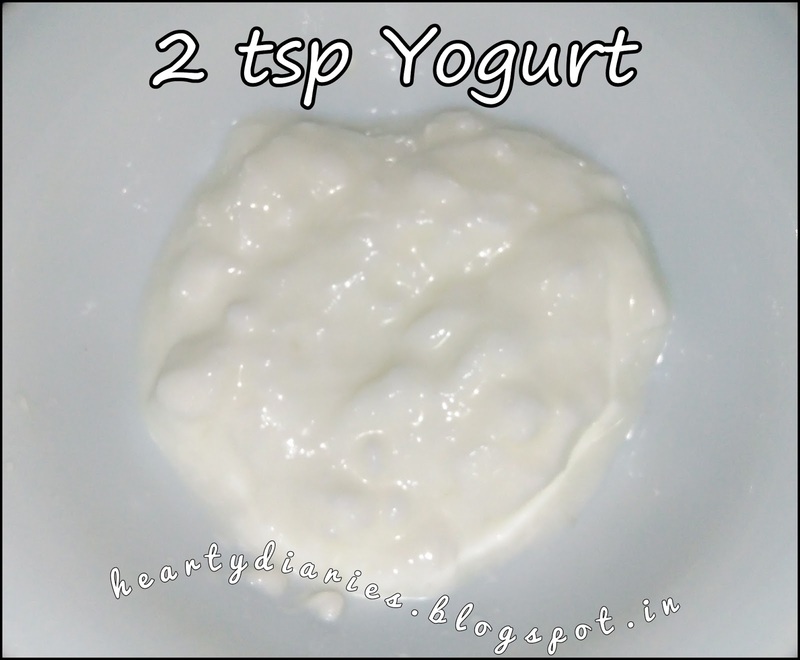 Take 2 tsp orange peel powder in a mixing bowl and add 1 tsp yogurt in it. 2. Mix both the ingedients well. 3. 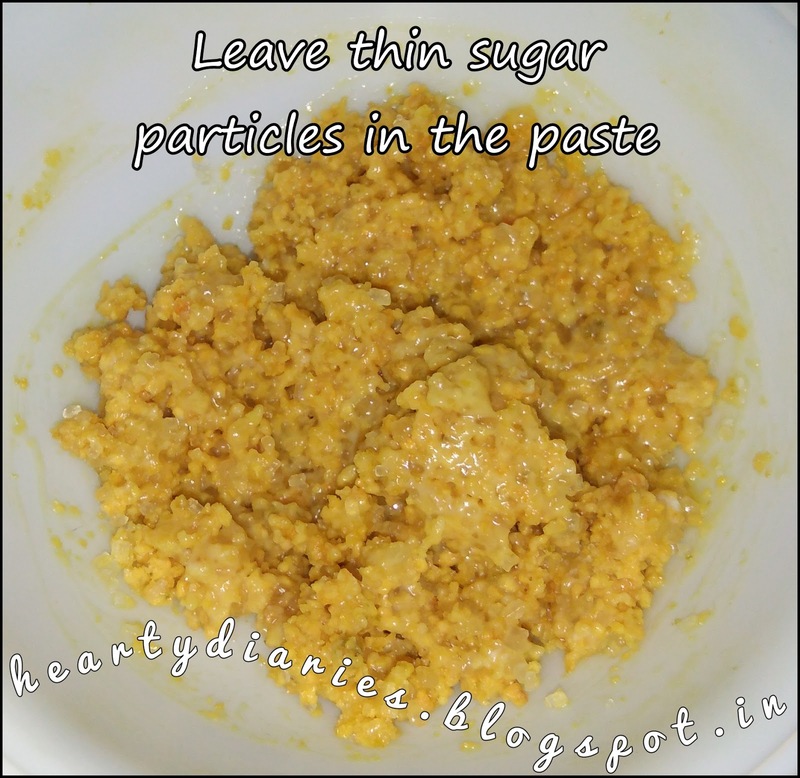 Add sugar to this paste and do not let it dissolve completely. 4. 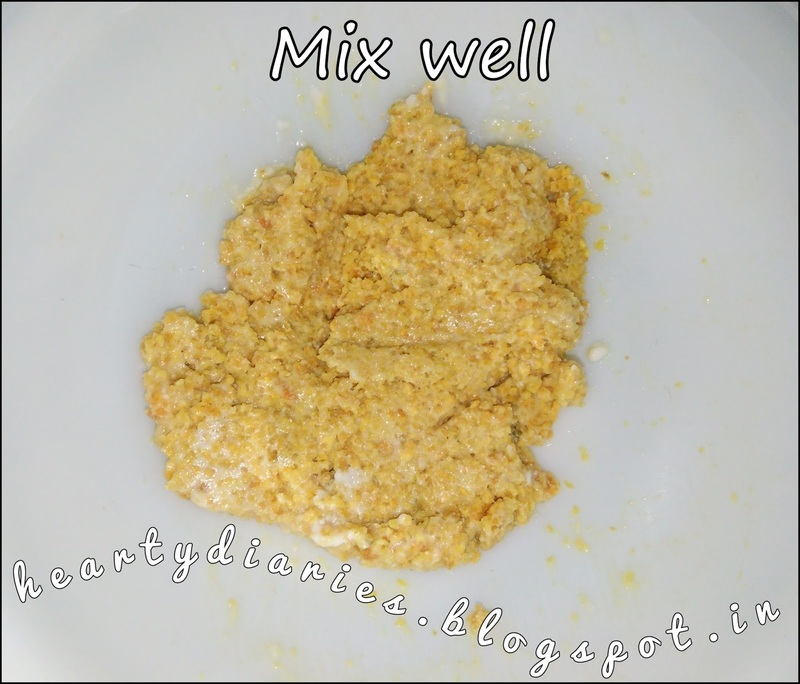 Leave very thin particles in this mixture. 5. 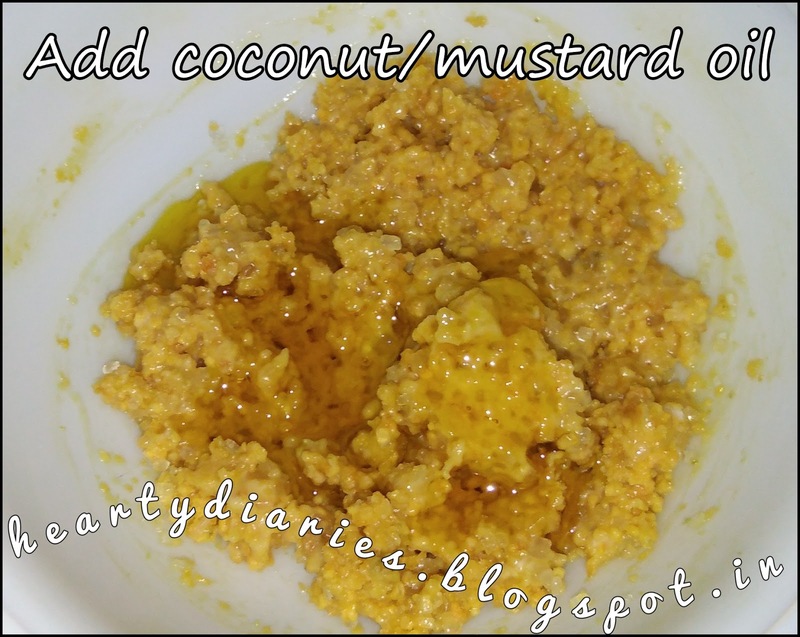 Finally add coconut/mustard oil to this paste to provide moisture and locking it into your skin. For people with really oily skin, this step can be skipped. 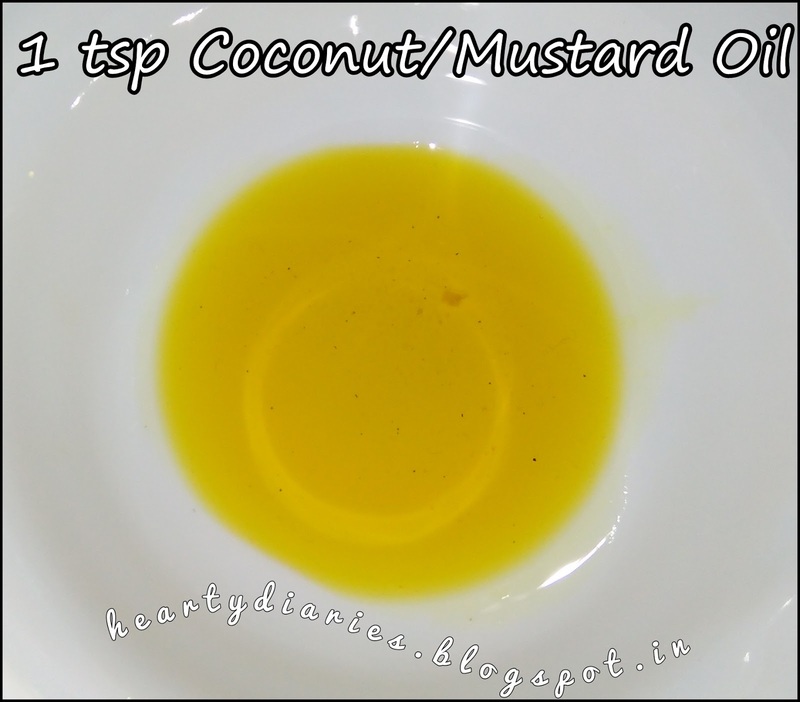 I am using mustard oil here. 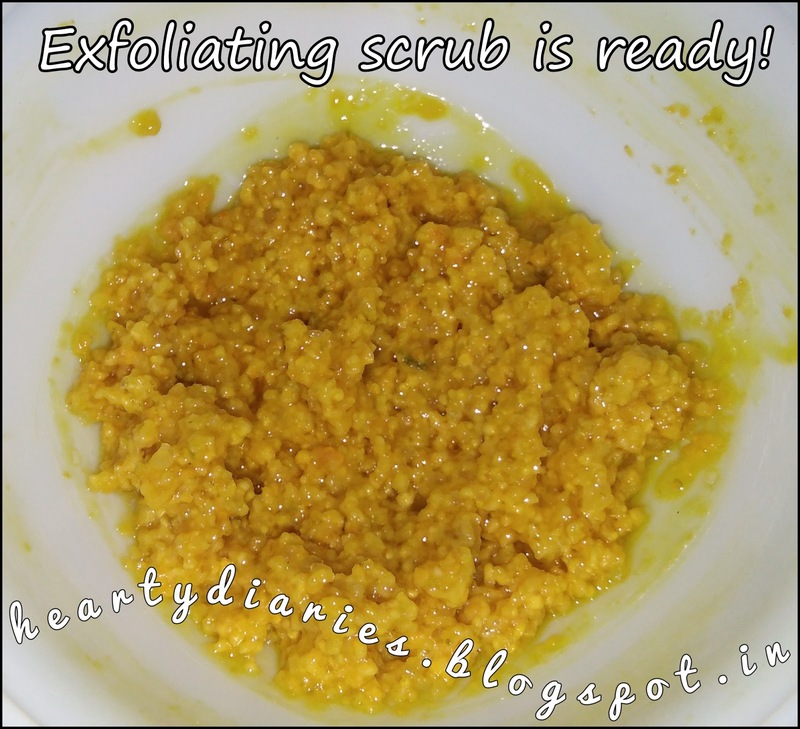 Your exfoliating scrub is ready! How to apply this scrub? 1. Wash your face with normal water to remove any excess oils and pat it dry. 2. 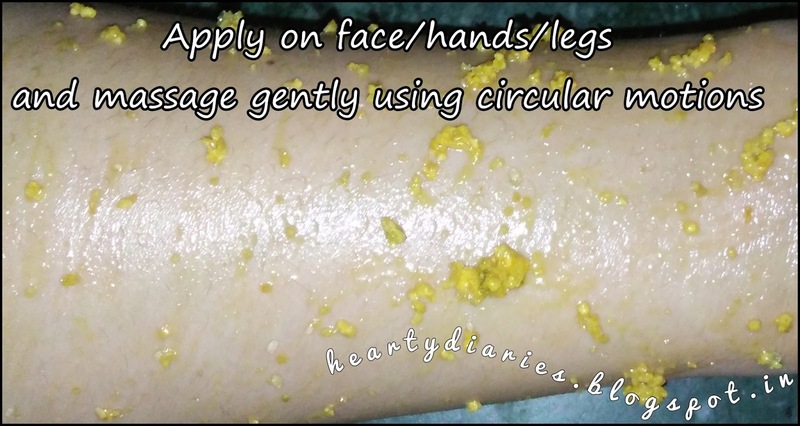 Massage your face gently with the scrub using circular motions. 3. Concentrate massaging each area of face for 30 seconds. 4. Once you feel like you have massaged your face well, rinse the scrub off with water. 5. After patting your face dry, moisturize your skin even if you have an oily one. 1. Use this scrub once a week. 2. Use gentle strokes and do not rub too hard. 3. Avoid getting this scrub into your eyes. 4. Do not scrub and exfoliate your skin excessively to avoid getting an oily and damaged skin. 5. Always do a patch test before applying any scrub to your face. 1. It makes the skin glow, bright and clear. 2. It is an excellent source of vitamin C.
3. It lightens up hyper pigmentation, corrects skin discoloration, deals with sun tan and lightens scars. 4. It removes dead cells from the skin and improves blood circulation. 5. It makes the skin soft and provides necessary nutrients making it relaxed and hydrated. 6. 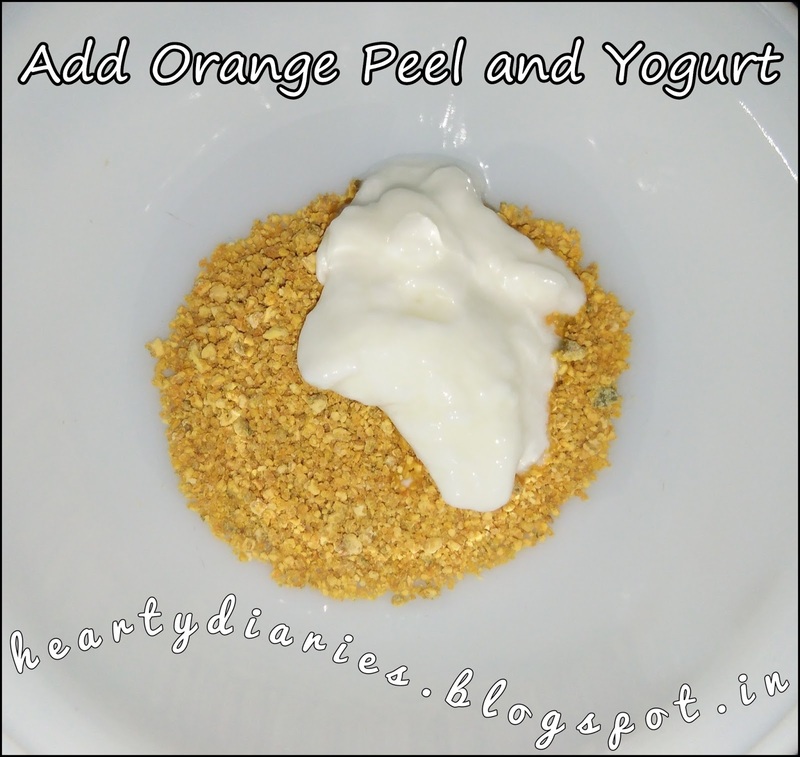 Orange has anti bacterial and anti microbial properties which help in preventing acne. 7. 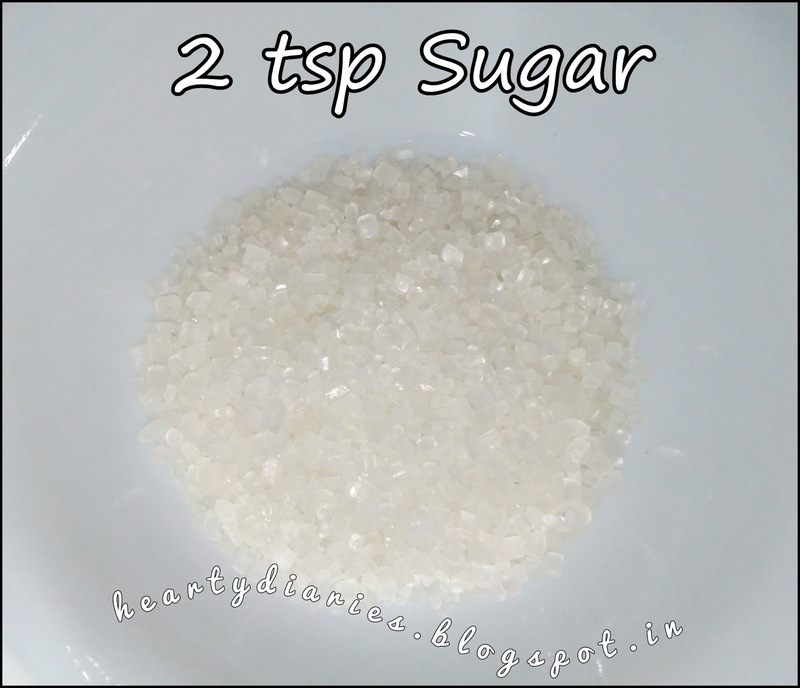 It has good source of Magnesium in it which helps preventing oxidative stress in skin cells making the skin youthful. It's my pleasure.. ❤ Definitely try this and do share the results with me..